This dish is perfect for the person who wants to eat a delicious home cooked meal but pressed for time. If you have 30 minutes, you have prepare this meal from start to finish to eating. Add Merlot, Worcestershire sauce, garlic, ginger and cornstarch. Stir until cornstarch has dissolved and there are no clumps in liquid. Serve over rice or with steamed vegetables. I can make this if I get some lean steak strips and I can use the peppers from my garden. This is how my husband eats rice, always over a sauce. He can't understand how Americans eat plain rice LOL. He's from Cameroon, central west Africa. Cameroon has two official languages, English and French and my DH is French speaking. My husband is from New Orleans and has to have rice with everything. He will not eat beans, veggies, etc without rice. 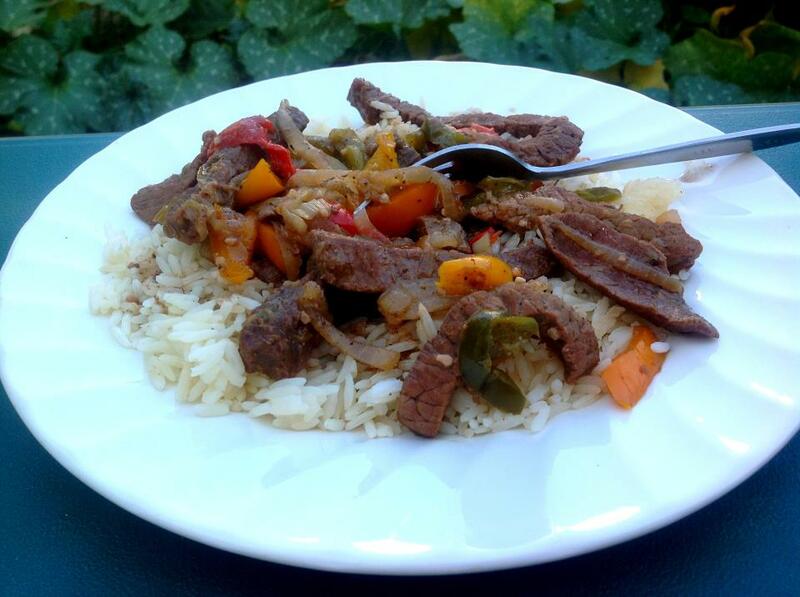 He loves pepper steak...thanks for the recipe. I could make this and he could eat the meat and veggies. I can eat the veggies and rice. Could Merlot be substituted? You can use a sherry or a Zinfandel. If you're asking to nix the wine altogether, you certainly can but the wine gives a different level of flavor in my opinion.